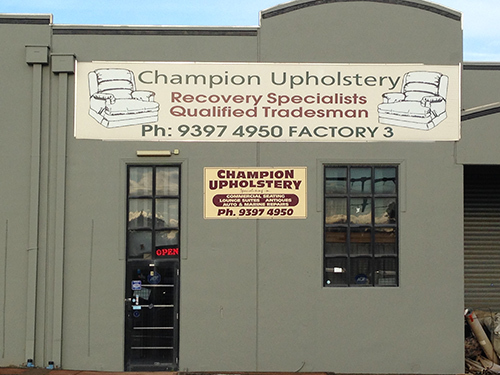 Champion Upholstery was established in September 2000 by Kevin Crisp and Alan Meisel. Alan and Kevin have over 57 years of combined experience in upholstery. They are committed to providing quality service, reasonable prices and customer service that is second to none. Alan and Kevin only use quality fabrics, materials, foam webbing and springs. They specialise in re-upholstery of lounge suites, antiques, office furniture, commercial seating, automotive and marine repairs.